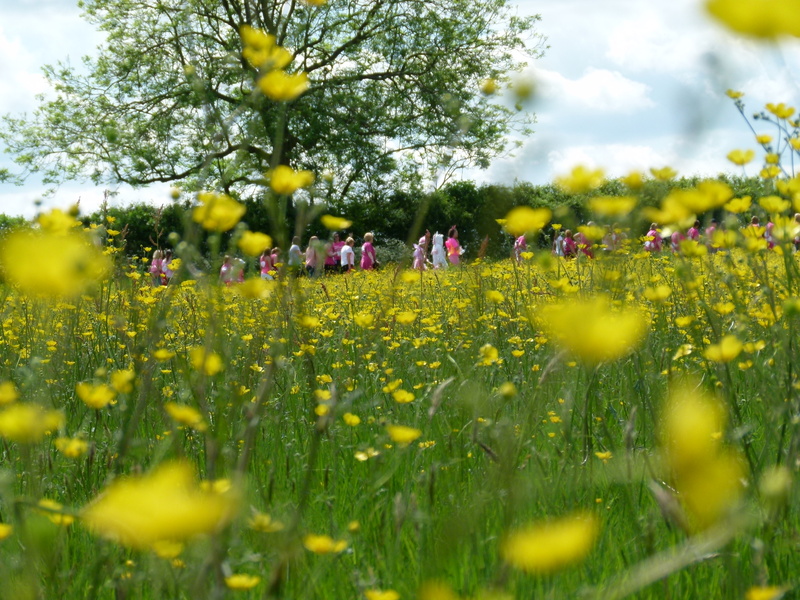 A lively pink stream of Race for Life entrants jogging alongside the breathtaking display of buttercups was the view that met mid-morning farm visitors passing Jenny Bare Legs field on Sunday 2 June. Around 2,000 charity runners wound their way from Horsham Park, into the farm, once round Jenny Bare Legs field and back to the park to clock their 5K for cancer research in Horsham’s first Race for Life. Friends of Chesworth Farm were there to give support and supply fresh water.